IFMAR World's 2015 Control Tyre! 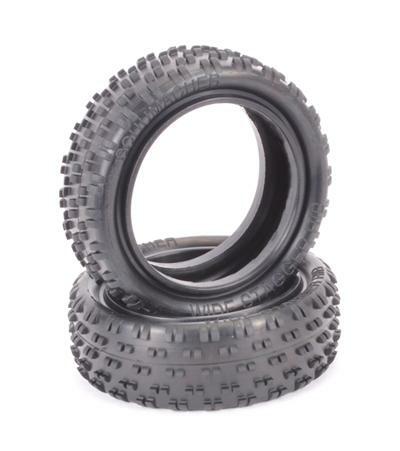 The 4WD wide front stagger, this tyre has been developed for high grip astro and carpet surfaces. 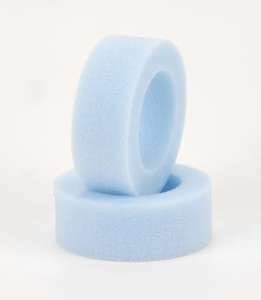 Aimed at providing more grip whilst keeping great stability associated with the staggered rib tyre. 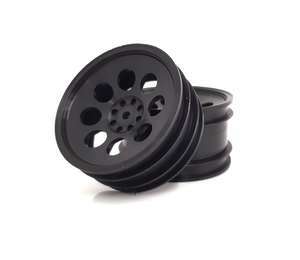 2.2 inch diameter, suitable for 4WD and 2WD medium wheels. It is available in the legendary Schumacher yellow compound for dry conditions and also the softer Silver for damp and wet conditions.